The JFS Junior Key Club recently completed a fun, creative, educational community service project benefiting families at the Rise Shelter in Endicott. Students created laminated activity mats that are educational and fun to use. On one side the mats had numerous educational “RACE” activities which allowed users to compete against their best times or another person. These activities included addition and multiplication math facts, word finds, dot-to-dots, and mazes. The other side was filled with games for families and friends to play together. 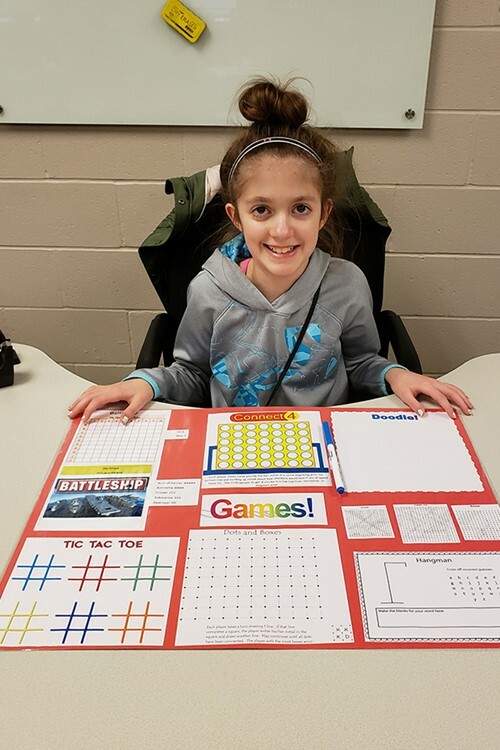 Included are Battleship, Connect Four, Hangman, Dots & Boxes, and Tic Tac Toe. This side also had a “doodle” section where users could draw. An erasable marker was attached to each mat which allows the laminated mats to be reused. Creating the mats was an exciting and gratifying experience for our members. We hope that the families at the Rise Shelter enjoy the activity mats as much as we enjoyed creating them.